A knee sleeve is great for added compression and support for those suffering from various knee injuries and pain from meniscus tears, arthritis, mild strains or sprains. Wearing a knee sleeve for sports like basketball, running or weightlifting that place a lot of impact on the knees from squatting, running, and jumping is one of the best ways to prevent injury. When looking to buy a knee sleeve or knee wrap, it is important to select one based on your need whether it is to manage pain caused by an injury or for instability protection during sporting activities. Knee sleeves come in many different forms and material and can provide the compression and support you need without the added bulk of a larger knee brace. 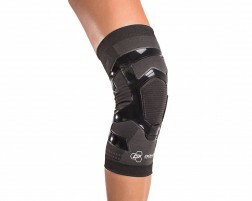 Neoprene knee sleeves provide compression and is ideal for sports like basketball or weightlifting. 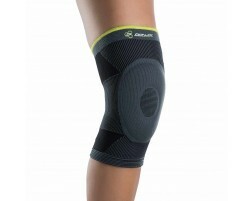 Neoprene knee wraps help keep the muscles warm and limber during activity. Donjoy has knee sleeves made of Drytex which is a great alternative for those allergic to neoprene. Drytex is durable and breathable which helps keep your knee cool and comfortable. Elastic is another great option for those looking to stay cool and receive the same support. Both Drytex and Elastic knee wraps are great for running and cycling. For additional support, you can look to a knee sleeve with Velcro straps which keeps the sleeve from slipping down and is ideal for high impact sports.